Workbench. $449.Workbench and ladder sold. Workshop table on castors. 1200 x 500 x 900 high. 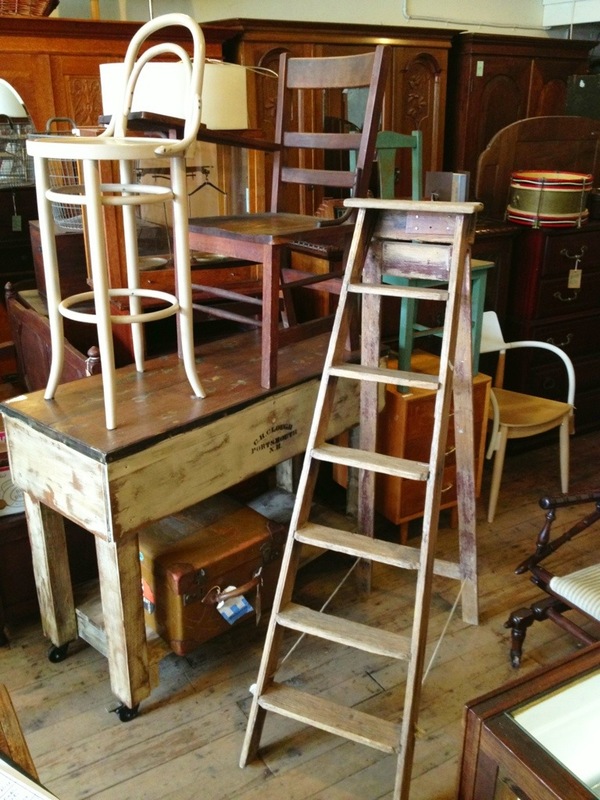 Ladder 1500 high ( bit wobbly) $79. Leather case $120. University lecture chair $120. Bentwood stool 1/2 $59 each. 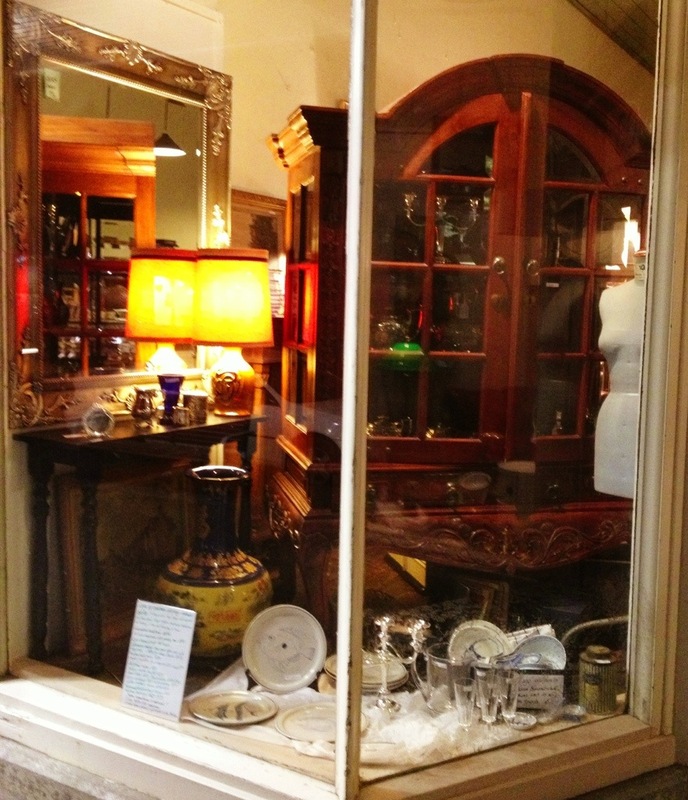 Oak wardrobe from the early1900”s with two mirrored doors and two large drawers below. 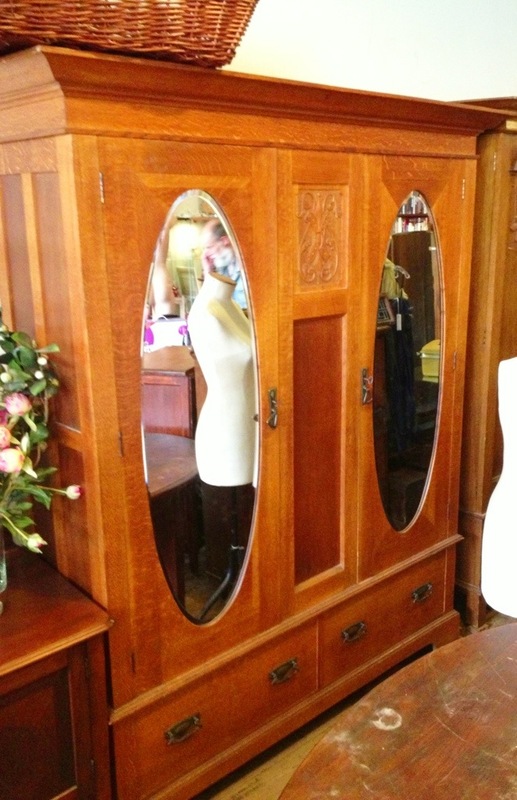 This I’d one of three large wardrobes presently in stock, this example is &590. 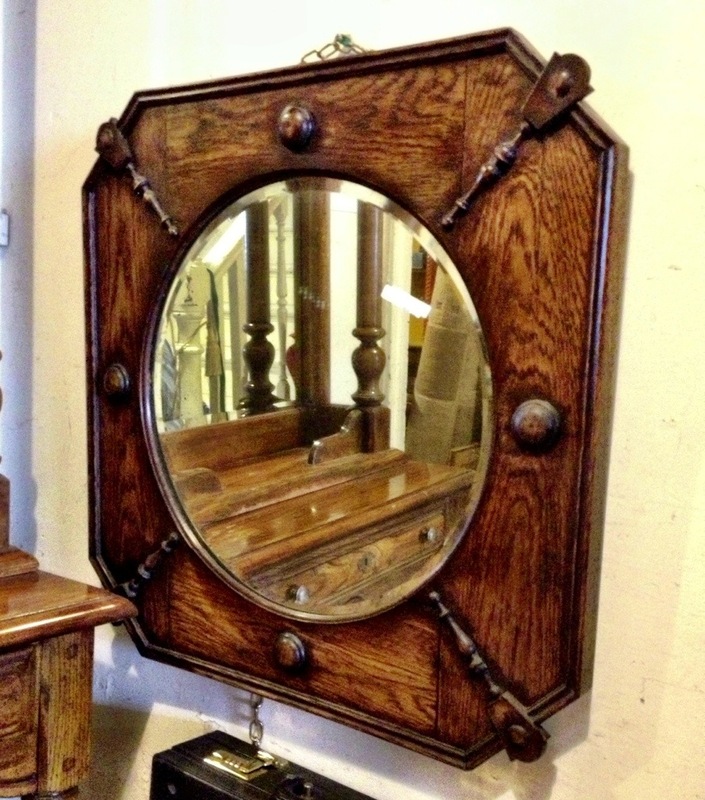 Jacobean Revival oak framed and beveled mirror from the 1920’s. in good order with some blemishes in the glass. $145. 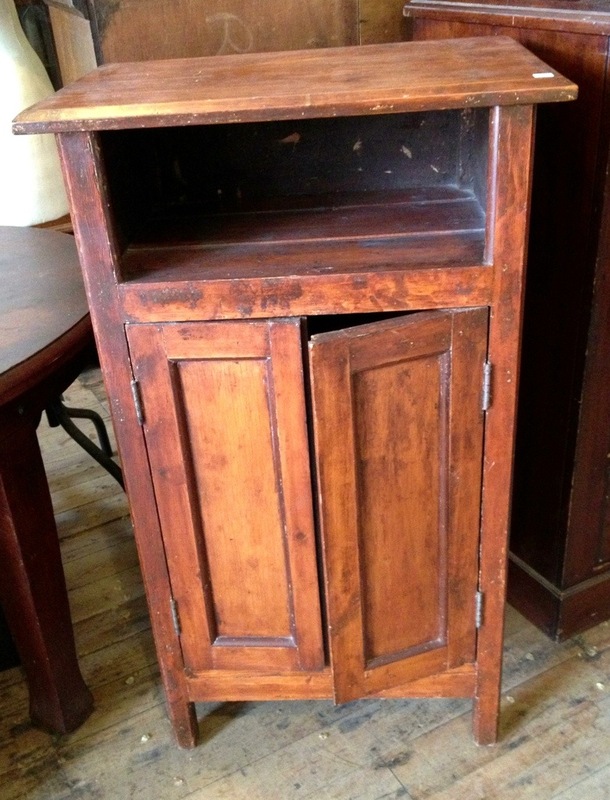 Early 29th century talk small cupboard with two doors below. Unusual construction with lift up top, making it ideal for small music mixing unit, turntable or even accessible kitchen supplies. $125. Individual Armchairs. Leather chairs sold. 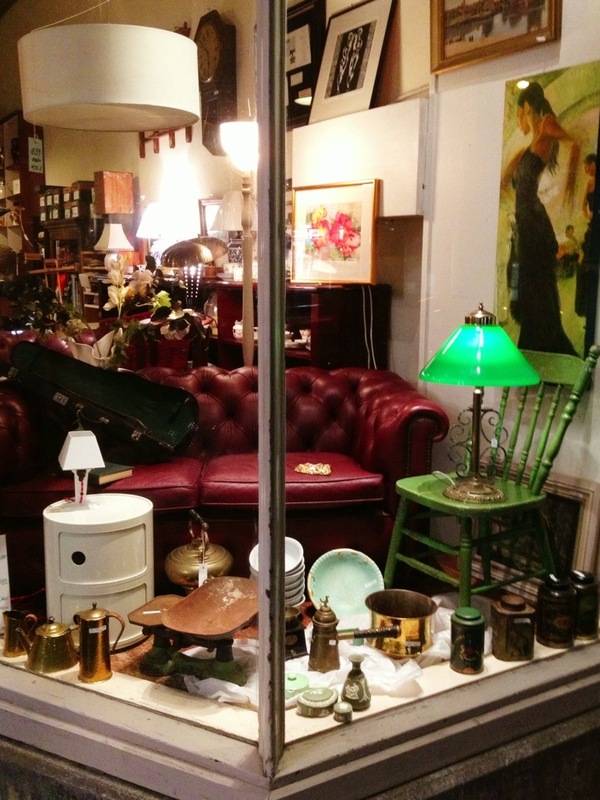 Three single armchairs, a seventies gold coloured leather wingback, $195. A fabric covered armchair from the 40’s, also $195. 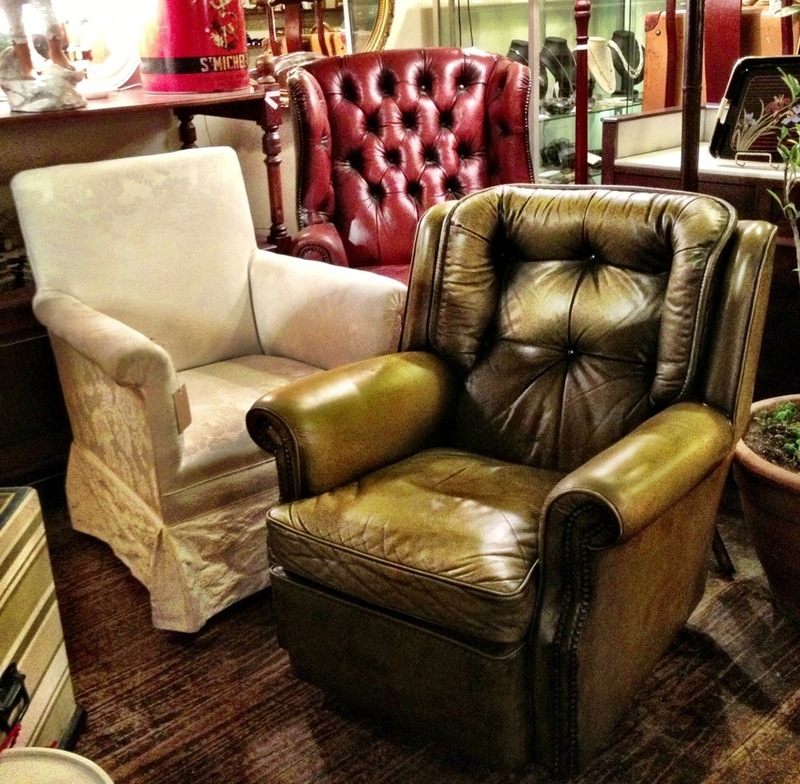 To move stock we have reduced the price of that large leather Moran wingback up the back by $100. It is now $690. The chesterfields have been reduced to $640. The cottage chair, a genuine kangaroo back at $59 plus scales, an Arts and Crafts tea set, and somewhat incongruously a Kartell plastic bedside.